Plug-in hybrid SUVs keeping coming, with the latest a pair of Range Rover PHEVs from Land Rover – the Range Rover P400e and Range Rover Sport P400e. Both Range Rover PHEVs are slated for a U.S. introduction next summer, as 2019 models. The Sport PHEV is priced to start at $79,295. Pricing for the regular Range Rover PHEV hasn’t yet been announced but, as with the Sport, expect it to run several thousand dollars more than the comparably equipped gasoline counterpart to account for the additional cost of the electric drive and battery system. On the plus side, Range Rover’s 13.1-kWh battery pack is large enough to qualify the two plug-ins for federal tax credits of up to $6,253 under present IRS rules for plug-in vehicles. The two models also will qualify for state or regional incentives in several states. You can click on the following link to check out your state’s incentive offerings. The two Range Rover PHEVs will share identical plug-in hybrid powertrains. Each pairs a 2-liter, four-cylinder, 269-horsepower gasoline engine with a 114-horsepower (85-kilowatt) electric motor. Total system power output is rated at 398 ponies and 472 lb-ft of torque, which will be sent to the four-wheel-drive system via an 8-speed automatic transmission. 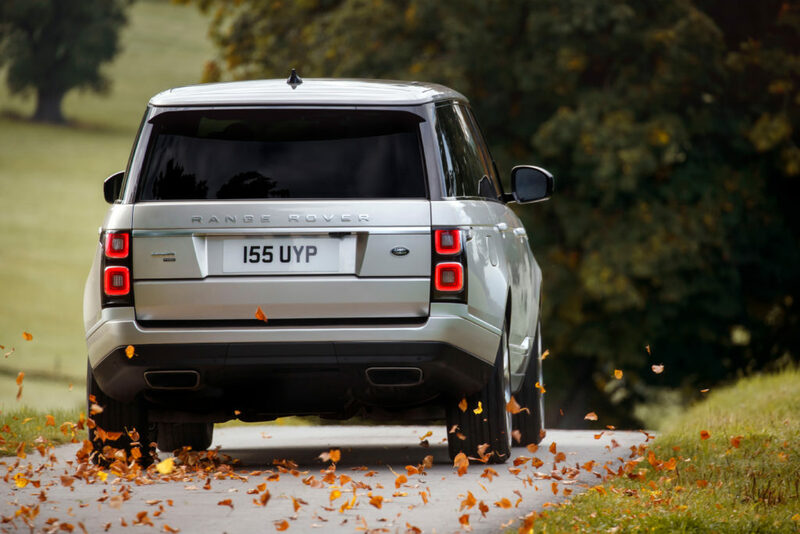 Land Rover isn’t waiting for the official EPA ratings and says the 13.1-kWh lithium-ion battery pack is good for up to 30 miles of all-electric range in the RR P400e and 31 miles in the lighter RR Sport P400e. The 7-kWh onboard charger can take in electrons quickly enough to replenish a depleted battery in as little as 2 hours when plugged into a properly sized Level 2 home or commercial charging system. Check our article on plug-in vehicle charging for more details. There’s an “EV” mode the driver can select to keep the system in all-electric drive and a “Save” mode to shut down the electric drive system to keep the battery charge in reserve for later use. 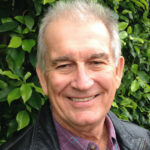 The default mode is hybrid, in which the powertrain computer decides how to best blend gas and electric power for the most efficient operation. 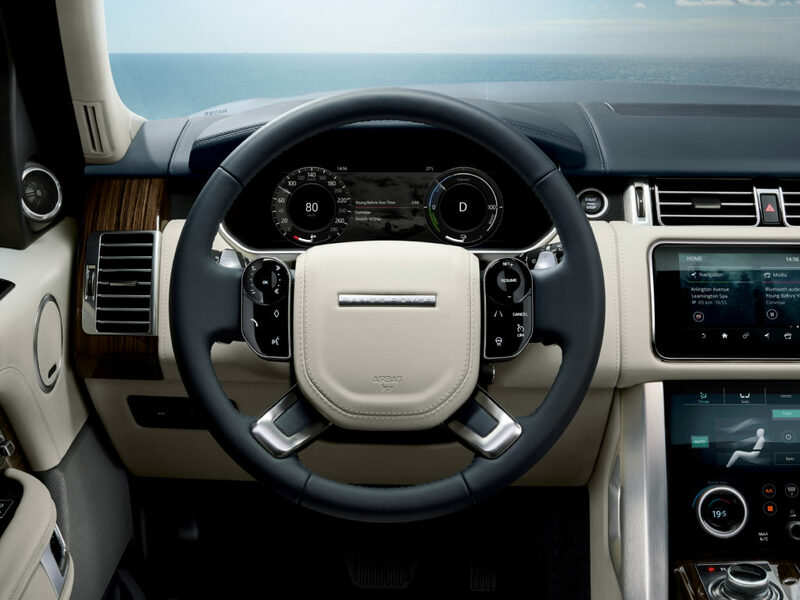 Top speed in both models is estimated by Land Rover at 137 mph, with 0-60 acceleration pegged at 6.3 seconds for the Sport plug-in and 6.4 seconds for its big brother. The 2019 Rover Range PHEVs have unique versions of the Terrain Response 2 power-vectoring system for off-road driving. 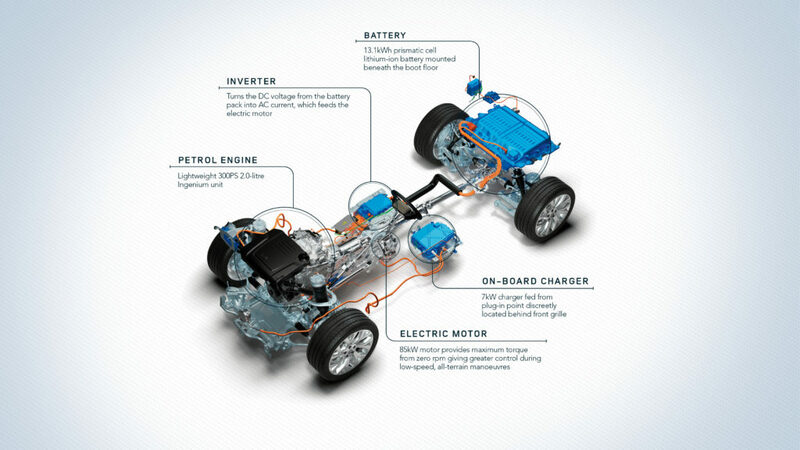 It apportions torque from the PHEV electric motor to the wheels as needed. The regular and Sport P400e models also feature a “predictive energy optimization” program in the navigation system that helps drivers find the most energy efficient routes to a destination by factoring-in altitude data. The two Range Rover PHEVs are the first plug-in models from the company since its 2012 announcement that it would have one or more in the market by 2020. In September, parent company Jaguar-Land Rover said every new model it introduces after the 2019 model year will have some level of electric assist. 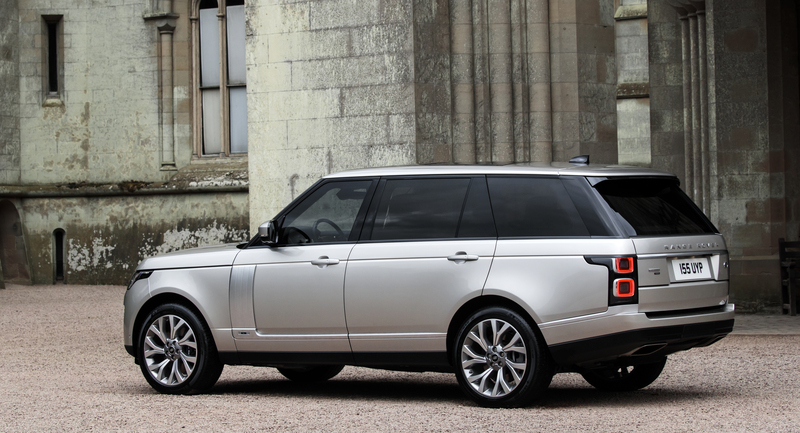 Will the Range Rover P400E be eligible for the California car pool lane? With its 13 kwh battery and 31 miles of all-electric range, it meets the qualifications, but there are new income limits that require higher income folks ($150K single, $300K couple) in Calif. to pick between state rebate and HOV sticker. So HOV sticker eligibility will depend on buyers’ income and choice.